attributed to a needlework made by interlocking and looping a thread with a hooked yarn. This pattern moved to a new home. Visit here. A cool blend of turquiose and white hues that will remind you of the coming holiday season. This practical project uses up a simple combination of double-crochet and chain stitches adorned with fluffy plush yarn. I used just a 100g ball of Indonesian Cotton Thread. You could actually substitute any locally available crochet thread and just adjust the gauge. Luckily for us, the soft plush turquiose yarn used for the borders of the clothing is available locally. I got this one from Bodega sa Rosario, Pasig. 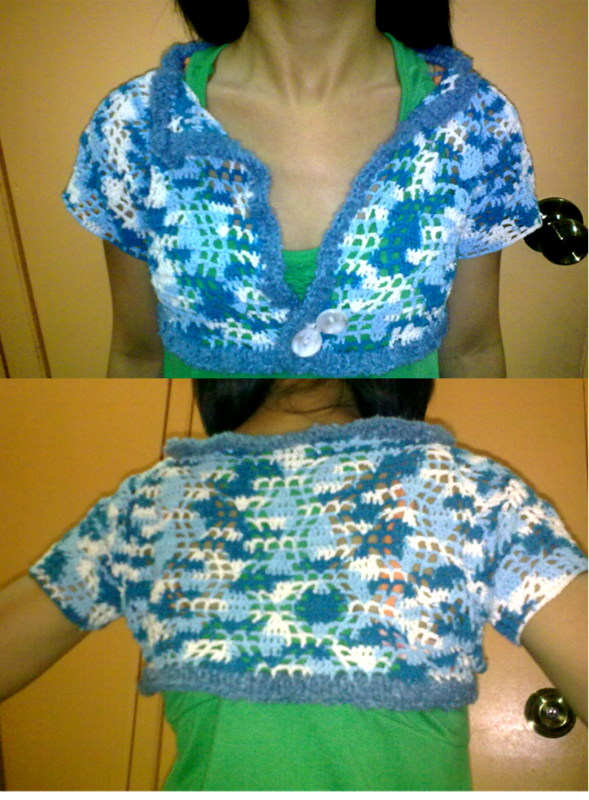 The bolero is made up of 5 parts, crocheted individually. 2 sleeves, 2 front parts and the back part. 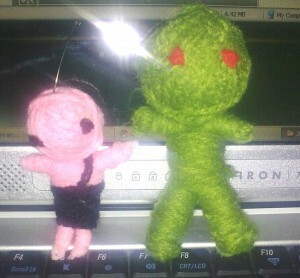 I sewed them together using left over crochet thread. 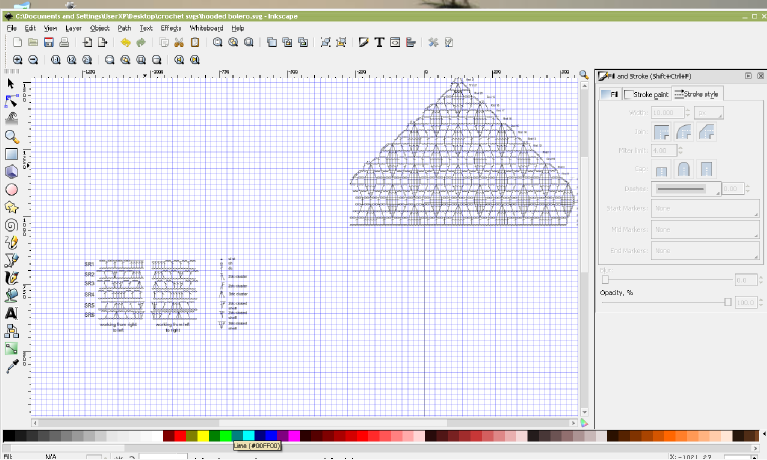 Then I added the border. The border’s just plain dc. I used automatic locks to close the front part. And attached two medium sized white textured buttons in front to accentuate. The ‘ber’ months are coming. And it’s already cold outside. The weather’s sometimes a bit tricky.I find it bothersome to wear long sleeves or sweater because, even though it’s raining, the sun would still show up sometime in the afternoon or if I am inside crowded places like MRT or passenger jeepneys, a cardigan may still be too hot to wear. But once i stepped out I could feel the cold breeze around my shoulders. It’d be nice to make another bolero. Just the right size to cover the bare shoulders. Something I could easily take off once the sun shows up or before entering a crowded train. 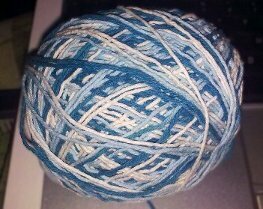 On my newly arrived yarns there’s a very cool shade of turquoise. The shade will remind you of the coming season. 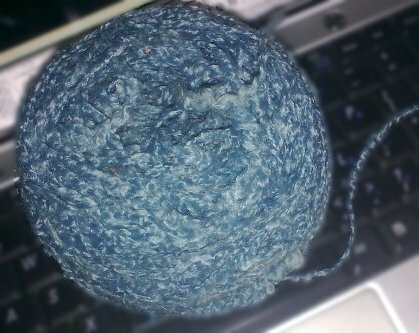 It’s a good thing too, that I have this soft plush yarn from Pasig. I don’t actually know what’s the official name of this yarn (as all the yarns i bought there 🙂 ) But looking at the Berocco’s yarn list, their Soft Plush Yarn comes closest to the one I have. If these two yarns are actually of the same kind, it’d be 100% Nylon. Hook size to use can be 3.0mm to 4.0 mm. I have a medium size ball (weight is unknown). 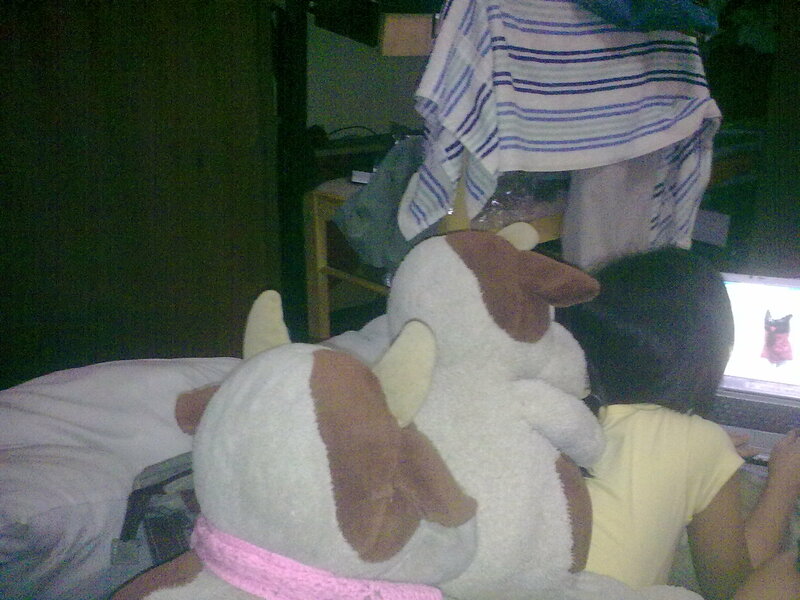 Funny, coz i never found any use of the soft plush yarn from Pasig. Since it’s too thick to be made into any comfy clothing. Especially here in Philippines, even if it’s cold it’s not practical to crochet anything from this yarn. Apparently these two yarns are great for each other. The colors are almost homogeneous and the textures are complementary. The plush yarn is soft to touch while (as all mercerized cotton threads are) the ICT is a bit rough and hard. 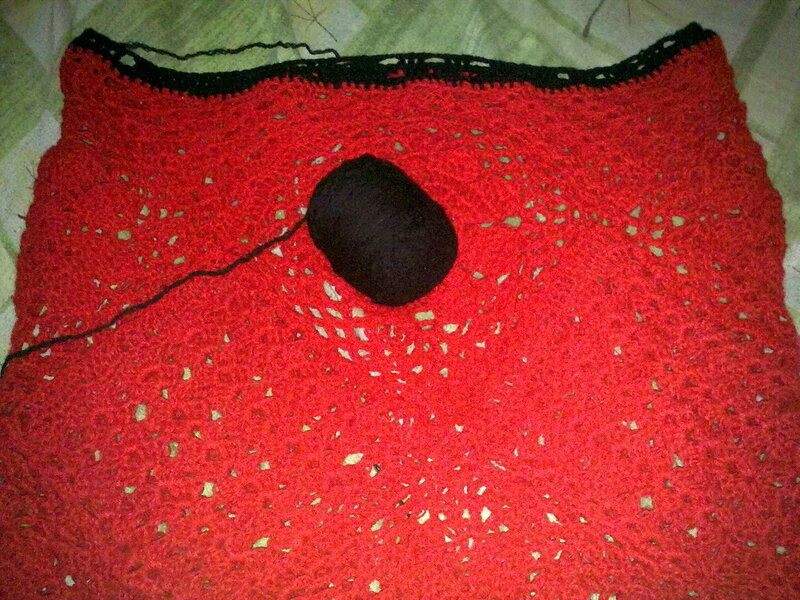 I am gonna use the cotton yarn for the body of the bolero and the plush yarn for the borders. Just to add accent.